At least it's no longer a steaming pile of crap now that I've finally got the long 88 on it, now it's just semi-terrible. 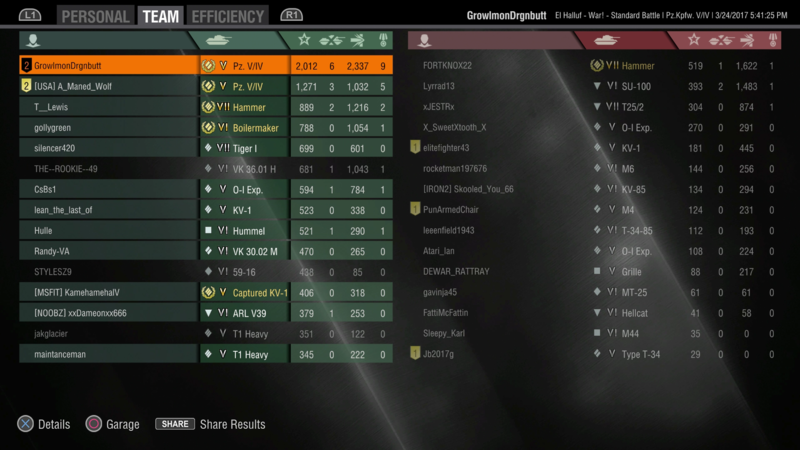 And I guess arty felt it was important to get that good Hellcat player out of the battle quick, nice results guys! Rudy Again...shooting gallery, nutty game. 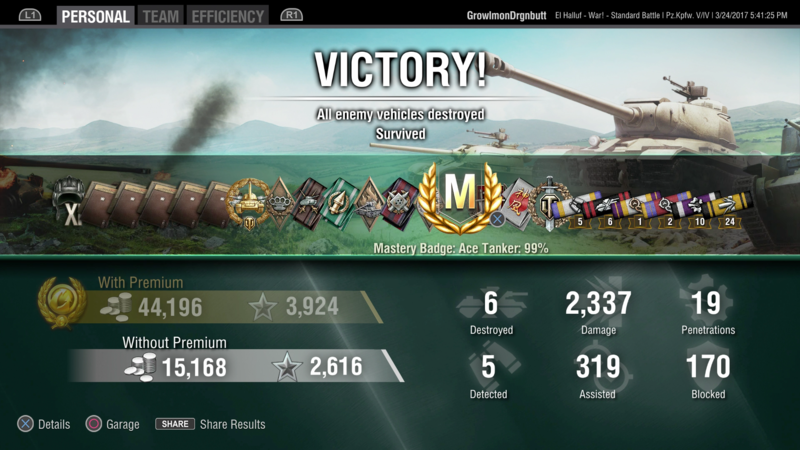 So on Wednesday I get an Ace tanker in the SU 100 on Siegfried Line at top tier with 1,572 base xp but then yesterday I do it bottom tier on Westfield in a very tier VIII match with 2,254 base xp so apologies to anyone chasing an ace in that but it was a good game. Always frustrating to be in the game where so many of the mid top heavies end up with goose eggs. I think there is a misunderstanding here, perhaps mine. To me bottom tier is T1 & T2, mid tier T3 to T6 and high tier T7 upwards. The replies indicate lowest in game tier a totally different kettle of fish. When I saw this topic listed I assumed it was for new starters of players who loved their little kit not experienced players with yet another topic where they can boast of their level of luck. Skill and poaching work, don't deny it, we all rely on it. 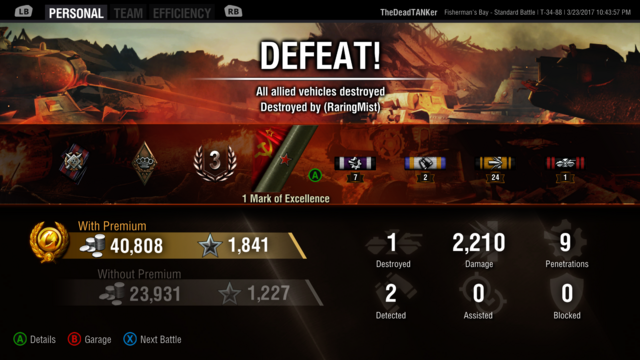 How many light tanks have achieved 6 or more kills by rushing in an finishing off another tank severely damaged by others. I know because I have seen it, and done it. 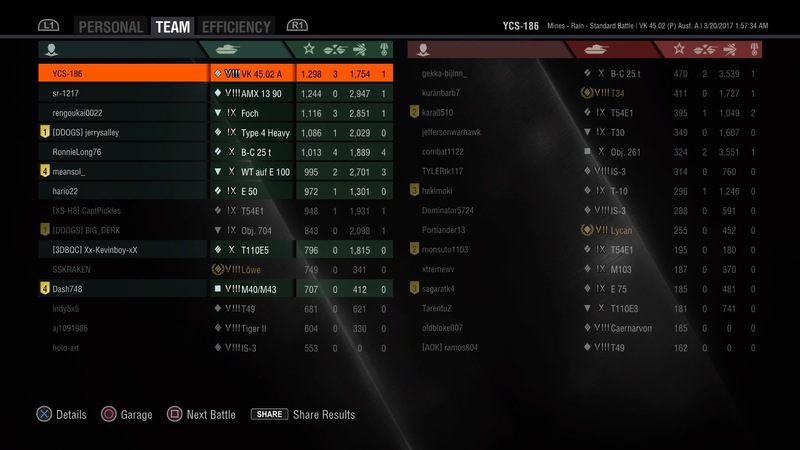 I was in a T10 game with 2 T8 light. 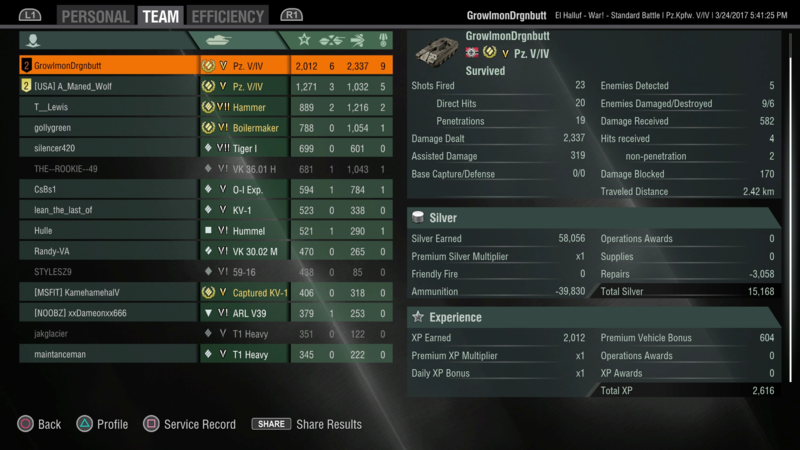 An AMX 13 90 followed the heavies all the way through the game and only fired when opponents very low. 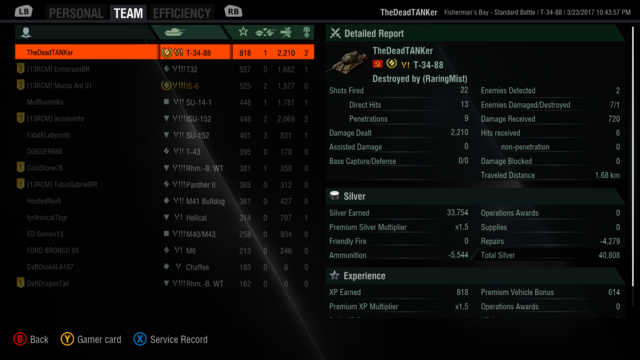 It scored 9 Kills having dealt out less than 600 damage. Very effective but not everyone was happy. 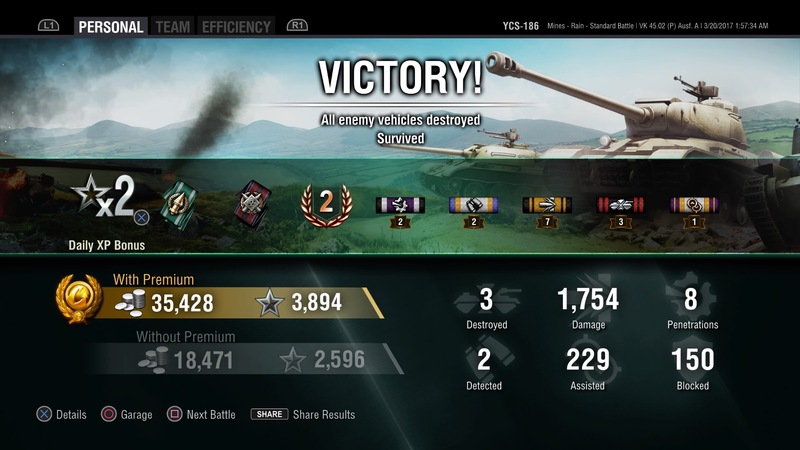 My T10 E100 scored 3600+ damage on 4 tanks with no kills. Allspice fair in love and war but very cynical. Yes you misunderstand, this thread was to show the many young grasshoppers here that, being 2 or 3 tiers down does not mean you can not contribute, even finish at the top of the board (win or loose) at the end of the battle. There have been many a posts here from folks complaining that if they are in a tier VI tank, and load into a Tier VIII battle that they might as well just quite straight away, and head back to the garage. This thread de-rails that thought process. ​If you looked at the last 3 or 4 games results posted all posters were among the top 2 or 3 damage dealers even while being bottom tier. Bottom tier with a terrible gun? No problem when you're hitting people in their butts! Edited by GrowlmonDrgnbutt, 24 March 2017 - 11:06 PM. Its just doing very well while being bottom tier. Putting up more damage and kills than anyone else one your team regardless of tier should always be the goal and is achievable by playing smart. Too many people complain about being bottom tier and matchmaking. I enjoy bottom tier games more so than being top tier. More of a challenge and a lot more damage available to take. Not the best game but I tried really hard to carry this game,it just didn't happen.